The intricate detail in the wood like sculpture pays tribute to both old and new featuring a bit of the Jacobs Field lights as well as Municipal Stadium. 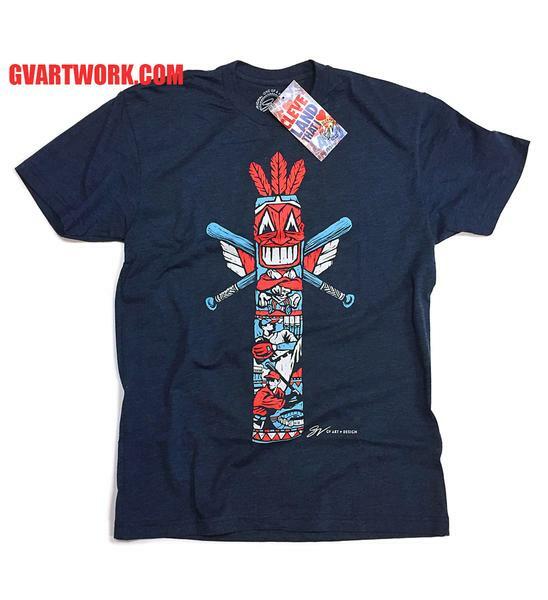 Please select option for Cleveland Indians Totem Tee. Please select option for Fresh Brewed Tees "C" Tee. Please select option for Fresh Brewed Tees C Town Tee. 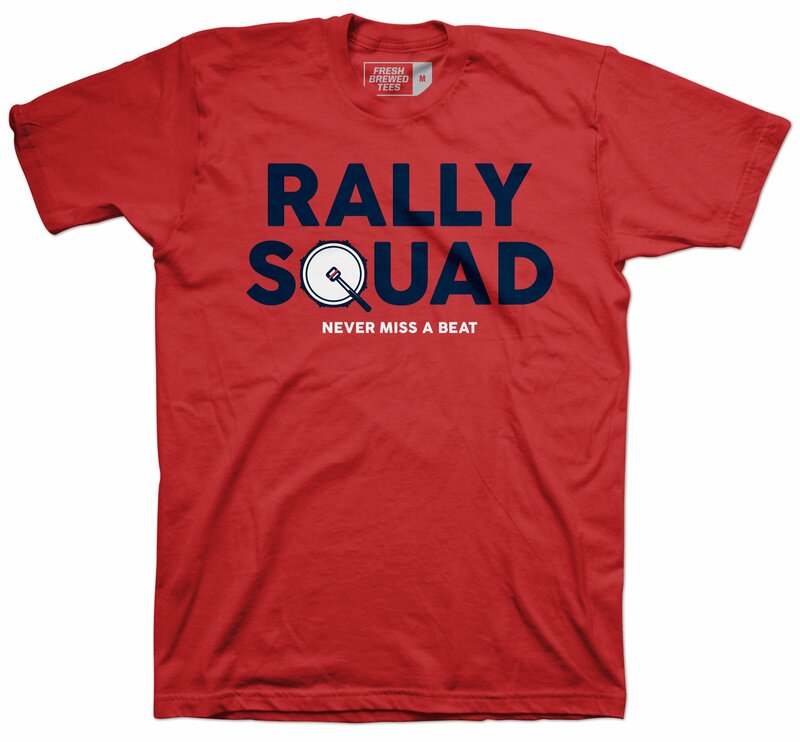 Please select option for Fresh Brewed Tees Rally Squad Tee. 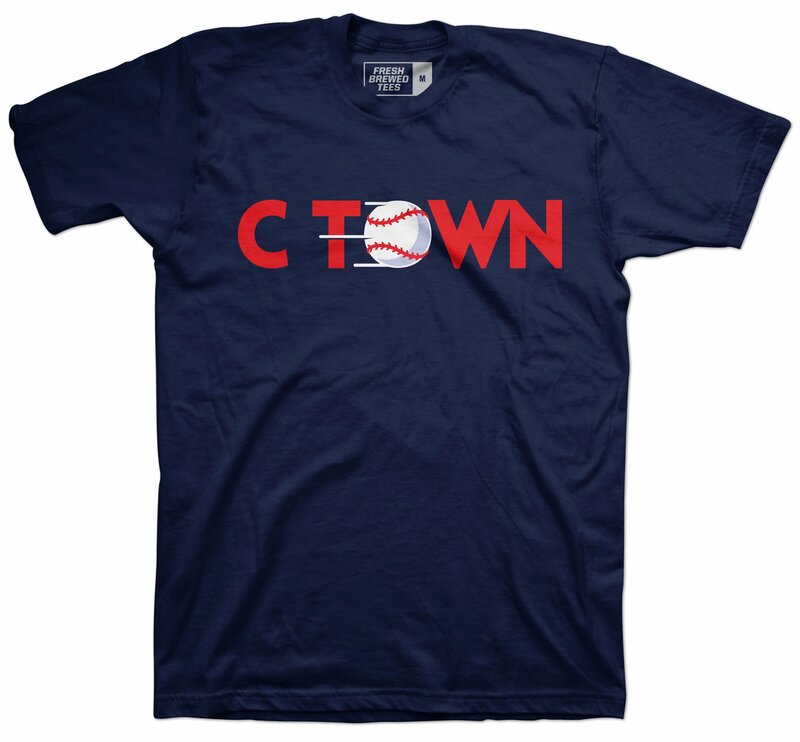 Show your love for your city and your team with this Cleveland Baseball T shirt. 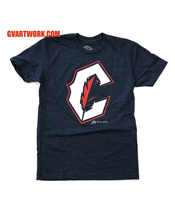 Heather Navy t-shirt with Feather "C" logo from GV Art & Design. Please select option for GV Art & Design Baseball Feather Tee. Features GV's famous Cleveland That I Love trademarked slogan with a tribute to each team and its colors. Please select option for GV Cleveland That I Love Sports Tee. As the weather is heating up, so is our team. Put on your sunglasses and Indian Summer tee and head on down to the park to support our team. 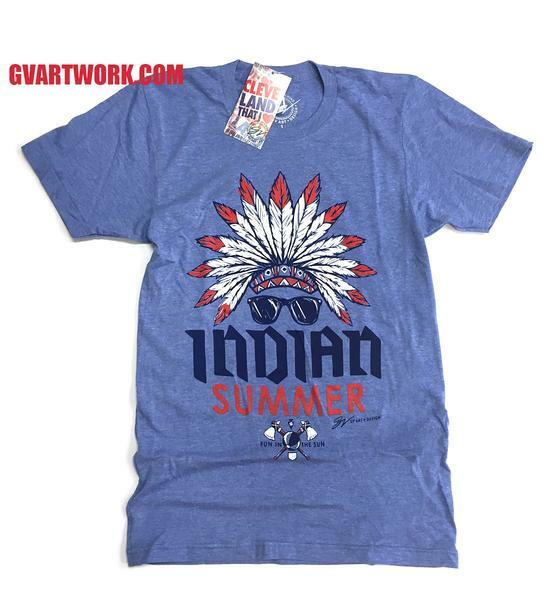 Please select option for GV Indians Summer Tee. 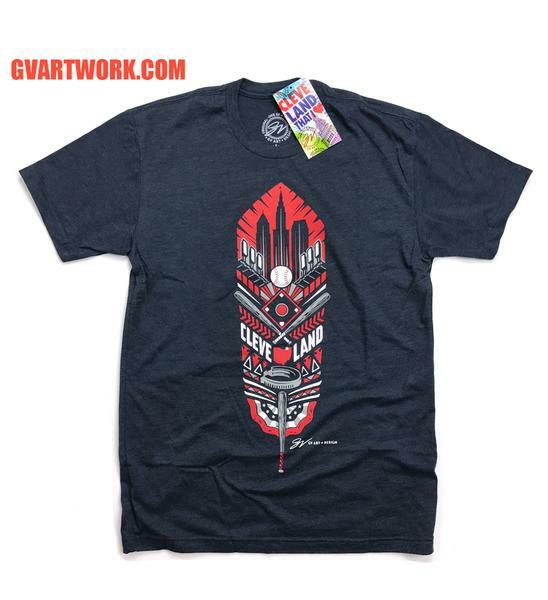 Show your love for your city and your team with our new Cleveland Feather T shirt. Please select option for GV Navy Feather Tee. It's not just a shirt, it's a statement! We have a lot of pride in our city, and want to represent it well. One of GV’s graphic Cleveland T shirt designs. It Showcases Cleveland’s most famous landmark the Terminal Tower which has become a staple in many of our designs. Please select option for Red Cle Terminal Tower Tee.